The eight race programme caters for single cylinder 250cc & 350cc machines, Lightweight 250cc, Junior 350cc, Senior 500cc, 850cc Classics, Classic Superbike's and Sidecars as all 2012 solo and sidecar race winners return hoping to retain the silverware they collected at the unique prize presentation in Castletown Square last May. As in previous years a Solo Support Race has been included in Monday’s race programme to cater for the number of entries received. Long time competitor, Aermacchi specialist Bill Swallow equalled the long standing record of 15 victories at this meeting last year and joins Bob Heath at top of the list - Bill will be hoping to add another win to his tally in 2013. Double winner last year Chris Palmer will once again be in with a chance of adding to his total of nine chequered flags having entered five races in all. Fellow ‘double-winner’ of 2012 Alan Oversby has a ‘brace’ of the Davies Motorsport 500cc and 350cc Honda-4 machines at his disposal along with two 750cc machines and will be hoping to add to his eight wins so far at the Blackford’s Pre-TT Classic. Veteran competitor Ted Fenwick returns with his faithful 250cc Ducati single aiming to make it to the top-step of the podium after a fine second place last year and adding to his three-in-a-row race wins in 2009, 2010 & 2011 carrying the number ‘85’ plate this year. Other previous winners returning this year include Chris McGahan, Ewan Hamilton, Alan ‘Bud’ Jackson, Terry Kermode, Rich Hawkins and Roger Birkenhead, plus two father and son pairings Paul and Jamie Coward and Peter and Roy Richardson. The Blackford’s Pre TT Classic has attracted a total of 15 Newcomers in the Solo races this year, with a number of riders who made their debuts in 2012 returning to enjoy ‘the Billown Experience’. 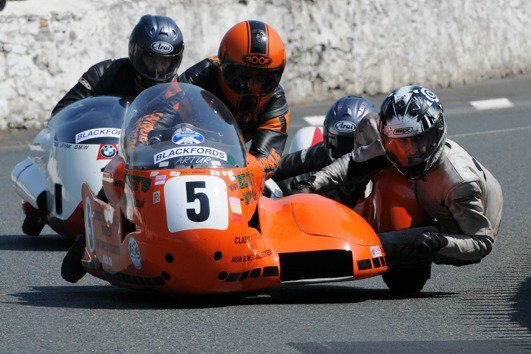 The ever popular Sidecar races have attracted 29 entries including last years winners Eddy Wright and Neil Wheatley plus two previous winners, Nick Houghton with Paul Thomas in the chair and Bernard Collonge and passenger Roland Martiny. The 2013 event commences on Friday Evening 24th May with the first Practice session and continues on Saturday Afternoon 25th May with the final practice, followed by the first two races of the event, the 350cc and 250cc Singles race over six laps and the opening Sidecar race over four laps. Monday 27th May sees a full day of racing action, with the meeting concluding with the Prize Presentation and Concours d' Elegance in Castletown Square on Tuesday Afternoon between 2.00pm and 4.00pm. 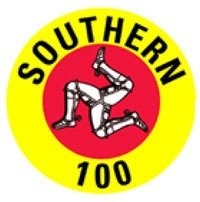 Further details can be found on the official website: http://www.southern100.com and on Facebook: Southern 100 Motorcycle Races .